Louis Assier-Andrieu obtained doctorate degrees in social and historical anthropology at the L’École des hautes études en sciences sociales (EHESS, Paris) in 1980, and in law at the Université Toulouse I Capitole in 1985. He was subsequently employed, inter alia, at the École nationale de la magistrature (ENM) and the École nationale d’administration (ENA), before assuming research and teaching positions initially at various universities in Europe (Catholic University Brussels, University of Barcelona, University of Madrid, etc. ), then in North America (Yale, University of Chicago, Columbia). Assier-Andrieu was led to Cornell and Tulane University School of Law through fellowships. He is currently Research Director at the Centre d’études européennes de Sciences Po (CNRS) and Professor at the law faculty of Sciences Po. His research interests span across several disciplines and comprise anthropology, epistemology and legal history, institutions and politics, institutions and societies, the social-anthropological approach of norms, as well as the anthropology of art history. He is further co-editor of several French and international journals of law, political science, sociology, and anthropology. Besides his academic career, Louis Assier-Andrieu was also project manager at the French Ministry of Foreign and European Affairs, Ministry of the Interior, as well as the Ministry of Justice and is co-founder of the GIP Mission de Recherche Droit et Justice. 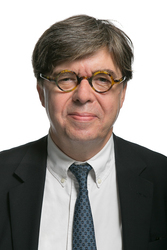 Louis Assier-Andrieu was Fellow at the Käte Hamburger Center for Advanced Study in the Humanities “Law as Culture” from October 2011 to October 2012. Since November 2018 he ist Member of the Scientific Advisory Board of the Käte Hamburger Kolleg.